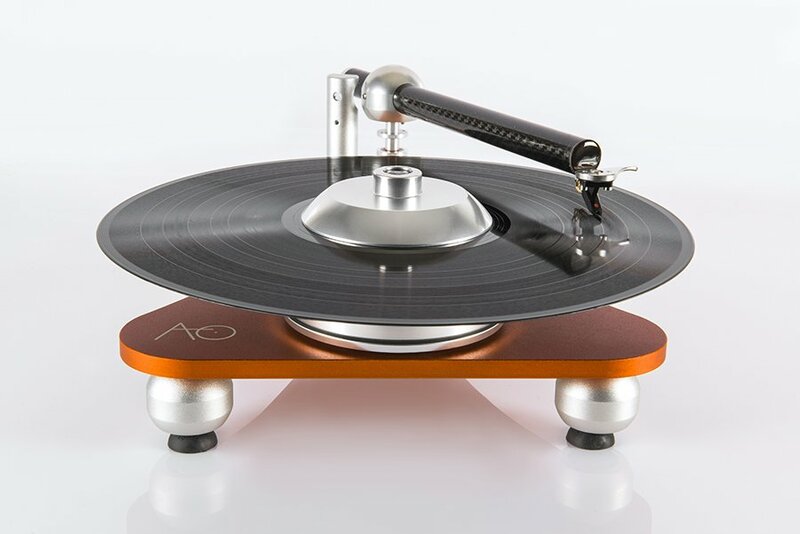 Ok, so we ran a news item today about the €895 Atmo Sfera turntable which has no platter so to speak and we came across another unusual turntable design, this time in the form of the $399 Gramovox that plays records vertically…and has built in speakers. The Gramavox plays 33s and 45s and has RCA outs so you can play it through a conventional hifi set up. 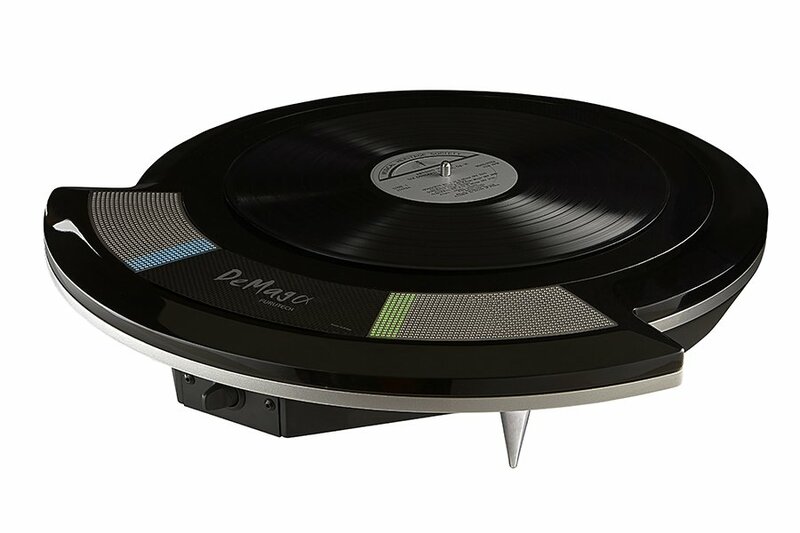 It is a belt drive design that has an acrylic platter and comes complete with tonearm and a AT95E so it plays out the box with no set up. 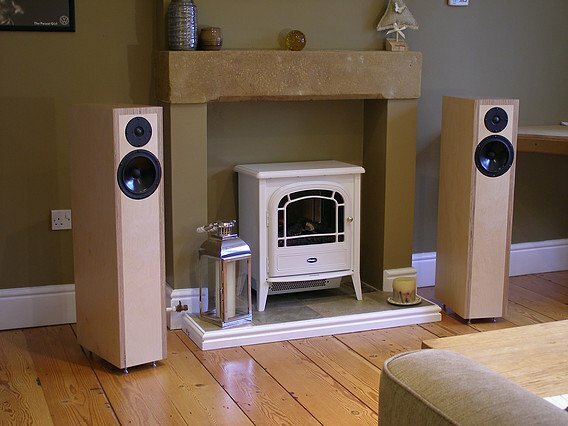 3 Square is a small new company based in the UK, their first product is a floorstanding loudspeaker constructed out of Baltic pine ply wood and costing £2500. 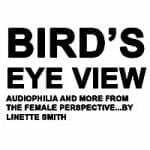 Ian Ringstead takes a listen. 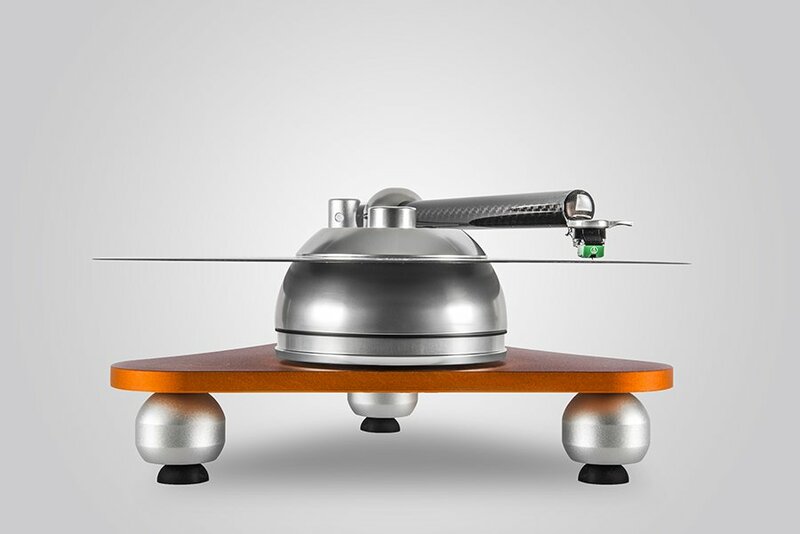 Audio Deva have a Kickstarter campaign for their €895 Atmo Sfera turntable (complete with arm and cartridge)… but the Atmo Sfera is no ordinary turntable because it doesn’t have the platter that would seem like a pretty essential part of any vinyl spinner. 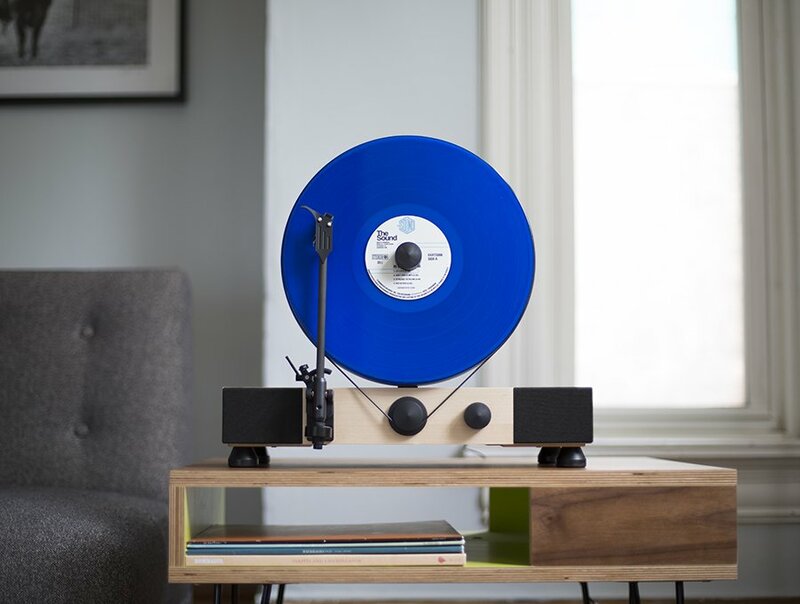 Audio Deva claim that the classic turntable has drawbacks inherent in its design citing “heavy weight, size, playing mechanism and vulnerability to vibration” as issues and claim their design eliminates the problems associated with conventional turntables. With 36 days to go the Italian company has raised around €15 500 of their €40 000 funding target. SOtM have announced the worldwide release of their dCBL-CAT7 and the iSO-CAT6 Special Edition which are designed to be used together. The dCBL-CAT7 cable is said to provide “stable, ultra-high speed transmission with excellent sound characteristics”. 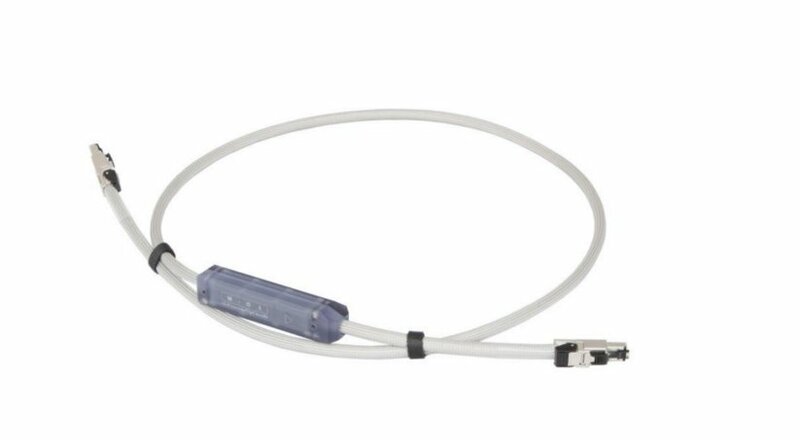 The Filter Block on the dCBL-CAT7 is a new addition and is designed to “eliminate the wide band digital noise inflowing from the router or NAS interfering with audio signals”. The iSO-CAT6 Special Edition is configured with 3 kinds of network cables which the company say “offer respectively different sound characteristics with high quality, which allows the user organize own unique customized audio system selecting bright & pompous tone, neutral, mild & comfortable tone”. The length starts from 1.5M as standard and longer than 5.5m of dCBL-CAT7 is also available. The iSO-CAT6 Special Edition comes with 3 different network cables, they are distinguished by black, dark grey and grey colour, the standard length is 50cm and can’t be changed. Q Acoustics, the British loudspeaker company, has announced that it has reduced the price of ‘Q-BT3’, its ‘Bluetooth(TM)’ wireless loudspeakers. With immediate effect, the recommended retail price of the BT3 is reduced from £349.95 to £279.95 inc VAT. Within the BT3 speakers is a 2 x 50 Watts per channel power amplifier, a Bluetooth V4.0 wireless receiver, with advanced ‘aptX’ capability and a Digital to Analogue Converter (DAC), accessed via an optical input. BT3 boasts two analogue stereo line level inputs (1 x 3.5mm mini jack, 1 x pair phono sockets), and a toslink optical digital input. There’s also a separate subwoofer output provided. Each BT3 speaker utilises a 25mm silk dome tweeter and 100mm coated paper cone midrange/bass unit. As in all Q Acoustics hifi loudspeakers the crossover is a fourth order ‘Linkwitz-Riley’ configuration; in this instance, with the advantage of fine tuning of its frequency response curve, achieved by using digital filters in a DSP (Digital Signal Processor). In addition to the small infrared remote control included with the BT3, it can also be operated by the remote controls which come with many satellite and cable TV boxes, (including UK ‘Sky’ and ‘Virgin’ models). The unit will also ‘auto switch’ between inputs when it detects a new signal. For example, if you are enjoying TV sound, but then decide to start streaming music from your smartphone or tablet, the BT3 will detect this new signal and switch to its Bluetooth input. Available in three gloss finishes: Red, White and Black, the BT3 is available now. Dimensions: (H x W x D) each speaker is 240mm x 148mm x 226mm. 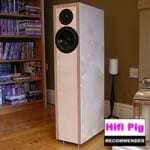 PMC, the UK based loudspeaker manufacturer, has signed CSR as exclusive distributor for hi-fi products in Japan. This will boost PMC’s presence in the Asia Pacific region and CSR will manage all sales and support for the company’s domestic products and ensure high levels of service to retailers across the country. 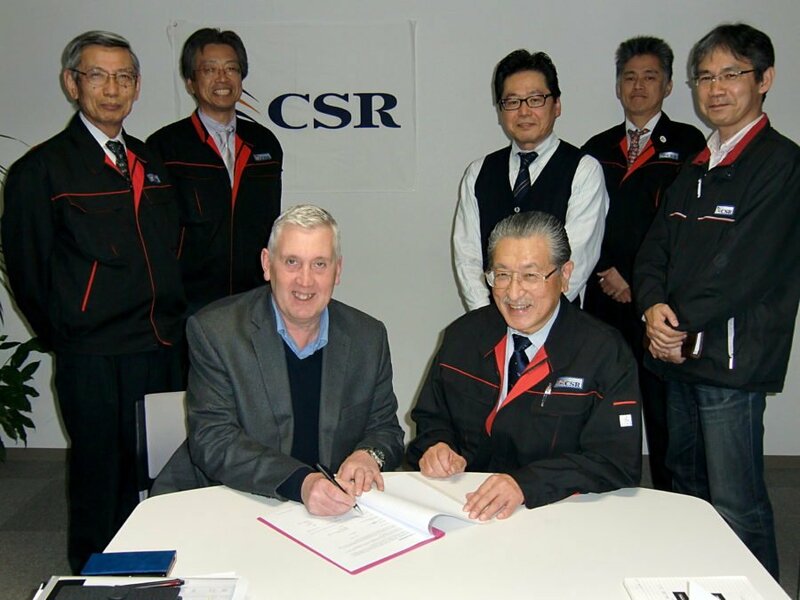 CSR Inc., based in Sagamihara, Kanagawa, approximately 30 miles west of Tokyo, was founded in 1991 and is run by Mr Norinaga Nakazawa, president and managing director, who oversees the 50 strong team. 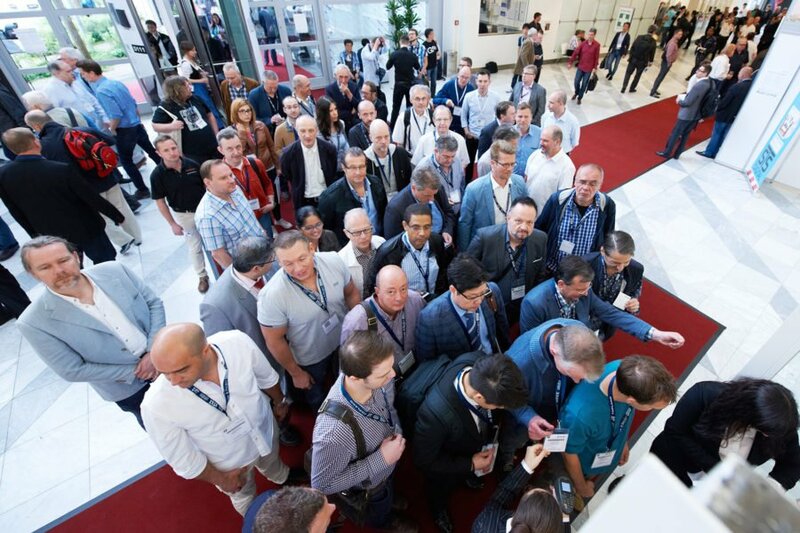 The company’s overriding objective is to build trusting relationships with its customers, suppliers, employees and shareholders; facets that fit perfectly with PMC’s own philosophy. The company manufactures its own brand of ‘Soul Note’ audio equipment, developed by its R&D team, which has extensive experience in digital electronics, having previously worked for one of the very well respected Japanese hifi brands. CSR also manufacturers radio communications equipment (for the Japanese fire and rescue service), karaoke equipment, including wireless microphones and amplifiers, plus education electronics. 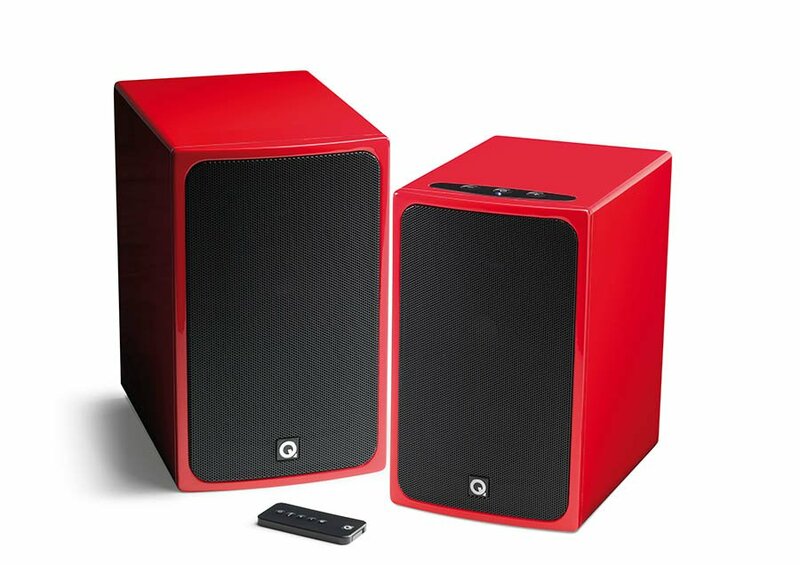 Its Soul Note range is to be further developed to complement PMC loudspeakers. Products from across PMC’s domestic portfolio, including the twenty series, the fact series and the smallest model in the range, the DB1 Gold, will be stocked alongside the company’s flagship SE range. Mr Norinaga Nakazawa, president, owner and founder of CSR says, “It is an honour for CSR to be working with such a world recognised brand as PMC, our team here is very excited about the future possibilities for success and we are already seeing an increase in interest to both brands since the announcement of the partnership”. 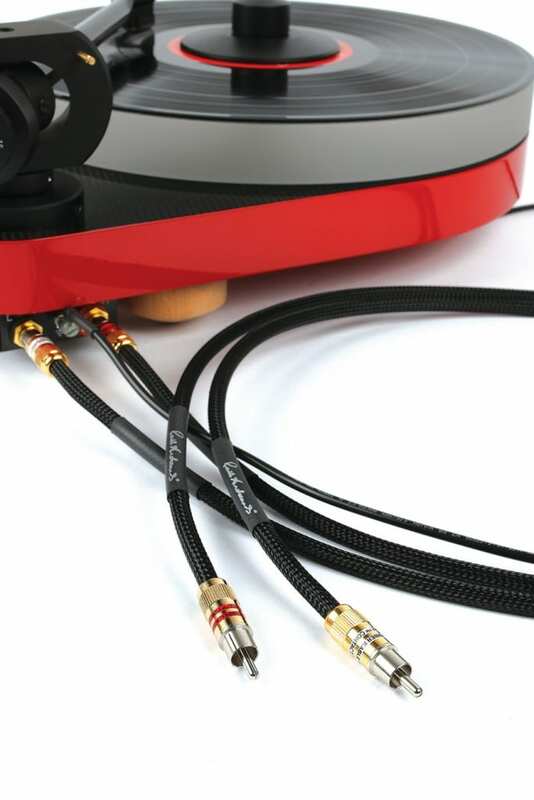 Russ Andrews is introducing a dedicated turntable RCA phono cable. 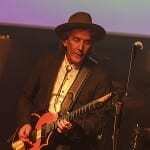 With the huge resurgence in turntables witnessed over the past couple of years and the monumental rise in sales of vinyl, “Russ Andrews has developed the TT-1 cable to help this new wave of vinyl enthusiasts get the best out of their turntables” says the company’s recent press release. TT-1 is a fully shielded design, derived from the Kimber Kable flagship Select range and uses high-purity copper coax geometry and a multi-stranded core. Fitted with Kimber’s UltraPlate™ Phono plugs, the TT-1 is also available with optional burn in, DCT (deep cryogenic treatment), Super Burn In and with the company’s MiniZap technology incorporated into the cable. Many modern turntables no longer require a dedicated ground connection, but for those that do, Russ Andrews is including a separate 2.5mm2 grounding wire fitted with 4mm spade terminals with the TT-1, making it suitable for use with a vast range of turntables. TT-1 is available direct from Russ Andrews at £104 for a 0.5m pair. For the first time in its history, KEF will be joining the internationally renowned SuperDesign Show in Milan. This year the SuperDesign Show looks to the future with an emphasis on how traditional boundaries between old and new, traditional and futuristic and others have become obsolete, opening the door to unlimited creativity. 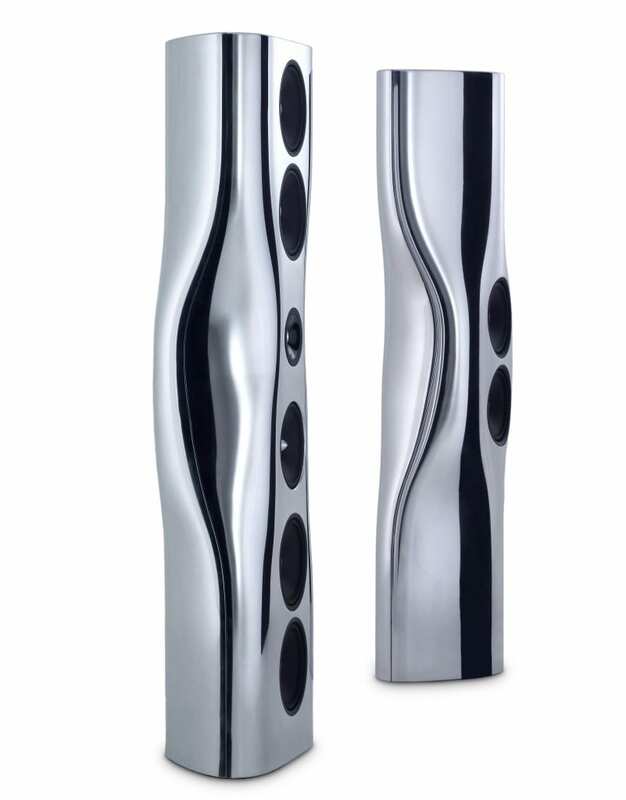 Fitting this theme KEF will showcase its “KEF OBSESSIONS” design philosophy, which allows its designers to create speakers that straddle the line between sculpture and sound, at a dedicated booth designed by Michael Young. The KEF OBSESSIONS design philosophy reflects KEF’s dedication to all aspects of speaker creation. 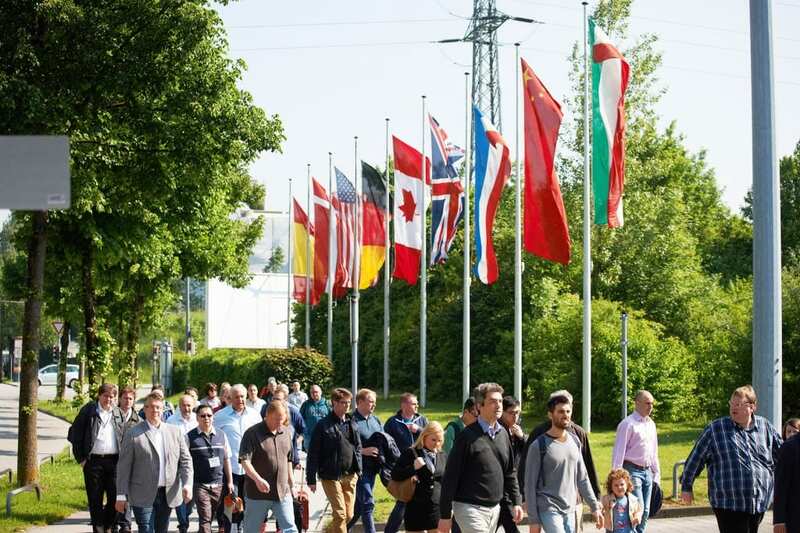 “Every minute detail required to create a KEF speaker is painstakingly considered and evaluated, including sound quality, innovative design, new materials, premium finishes and more, all combined with total attention to detail” says the loudspeaker manufacturer’s press release. 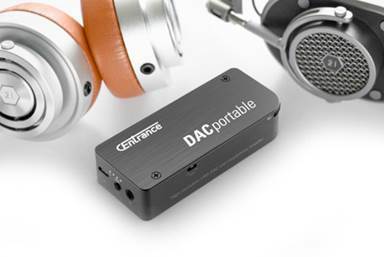 “DACportable is a powerful, palm-sized device that turns the average audio of your smartphone, tablet or computer into a concert-hall listening experience” says the recent press release from CEntrance. Encased in anodized aluminium, DACportable comes packed with audiophile-grade components the company continue. DACportable is said to be plug and play via a USB connection. 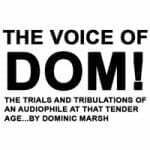 DACportable has features like EQ filters, digital volume control, a quick charge battery. DACportable’s high-res sound (backed with 32-bit/384kHz digital audio) is self-powered, so it won’t drain your phone’s battery. The DACportable will also work with future iPhones with or without headphone jacks. CEntrance recently launched DACportable on Indiegogo and received an amazing response, already surpassing their funding goal with $53,000.